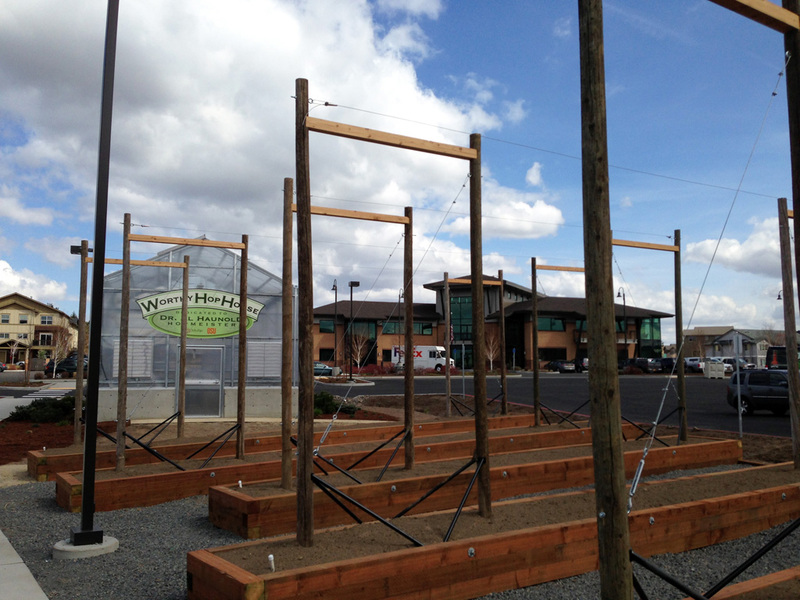 In case you were not aware, there are a lot of breweries in Bend, Oregon. 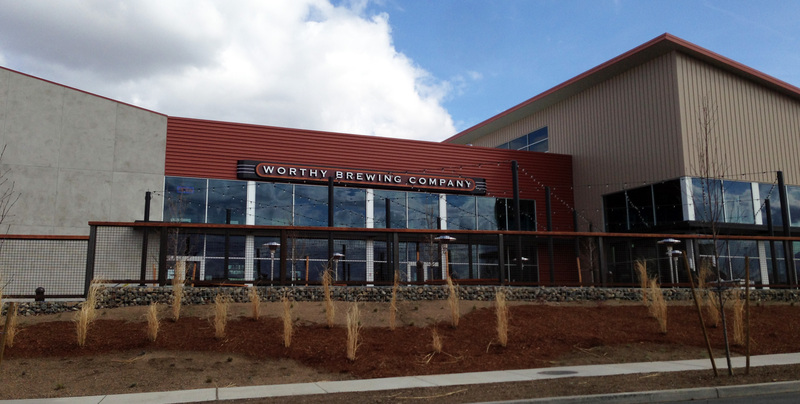 Well, I have to tell you that now, there’s a brand new brewery that just opened in Bend – called Worthy Brewing Company and I have to note that it is now #1 in my book for best Brew Pub in Bend Oregon. 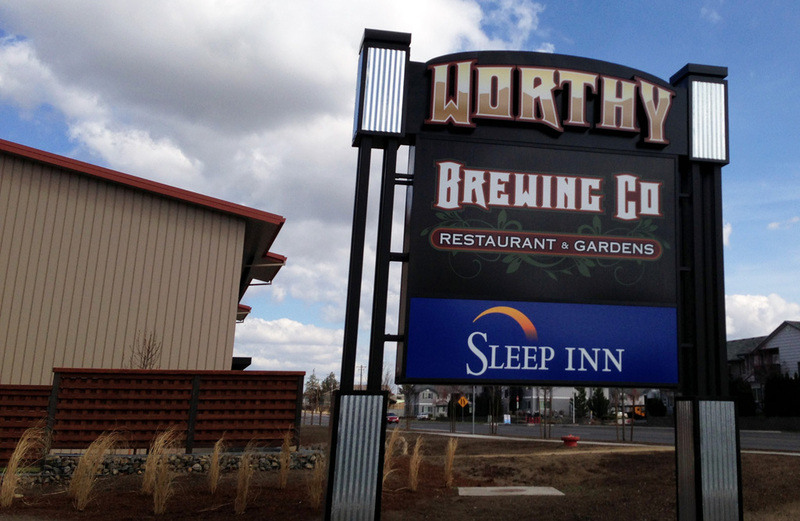 This brewery and restaurant are a sight to see, it’s a large industrial modern building with an outdoor raised bed hop garden, hop green house, a full scale brewery and a very nice restaurant section. The wood rafters and the bar top in the restaurant are all made from recovered wood from an old insane asylum in Oregon where the movie “One Flew Over The Cuckoo’s Nest” was filmed. So right from the start, this place already has built-in history, that’s pretty cool. Needless to say the ambiance is outstanding. They have a very good seasonal chalk board beer menu at Worthy. They not only serve their own beers, which are all very good, they also have guest taps with other beers and ciders from all over the west. 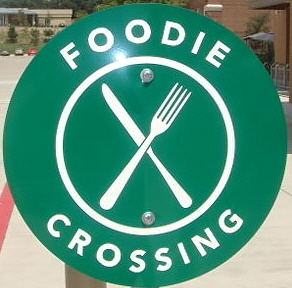 The food is what really pushes this place to #1 from day 1. It is outstanding! They have a really nicely tiled wood fired pizza oven that they use to make great tasting pizza’s and entree’s. I’ve been there 4x’s so far and every thing I’ve eaten has been excellent. 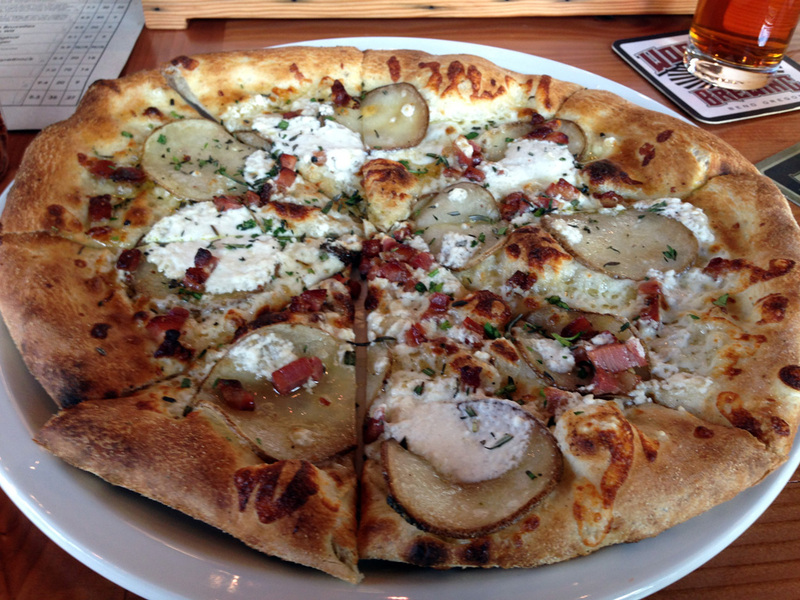 Some of their pizza’s have a wow factor with their creativity using a melding of delicious ingredients with a great tasting wood fired pizza crust. To round it all out, service was impeccable. I could not have asked for anything better. My beer glass never ever sits empty, and my food is always served promptly. 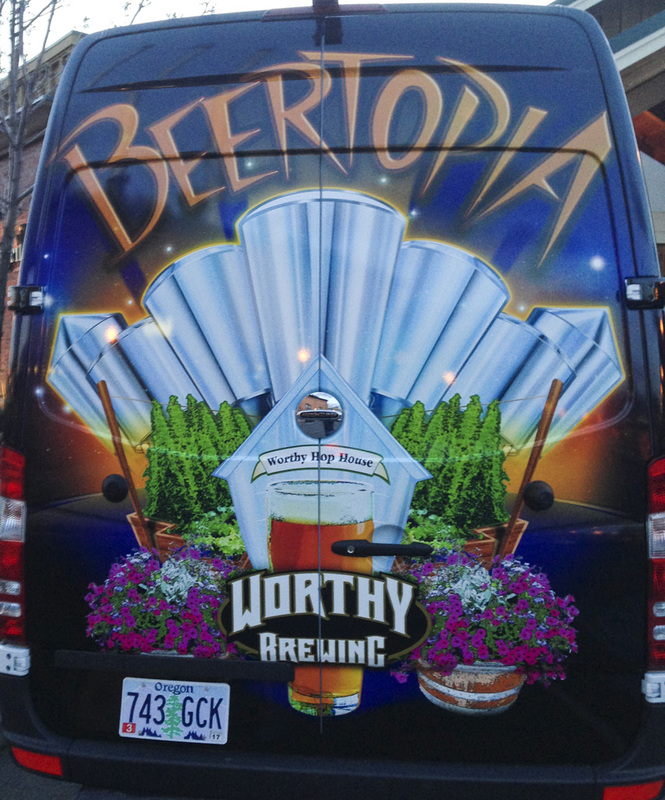 Two big thumbs up for Worthy Brewing Company!